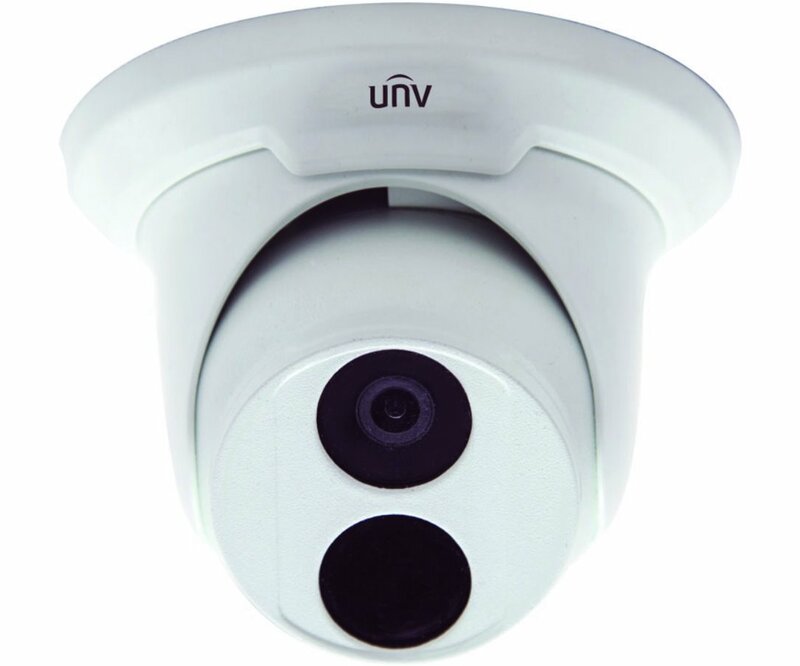 The Uniview ISX-DM2-FX4 IP dome camera is equipped with a 2MP Progressive Scan CMOS Image Sensor, 4mm lens and 90 feet of Smart IR illumination. Housed in an IP66 outdoor rated enclosure with large matrix style infrared LED. Great camera for overall coverage of wide areas or entryways. Can be power by PoE (Power over Ethernet) or 12VDC power supply. The camera has an OSD menu for a variety of image adjustments, smart IR, alarm record settings, network frame rates and bit rates. Small size and can be used for both indoor and outdoor surveillance.